Alex Rios: embodiment of this year's White Sox. This is the last time I'll point out that I made some pretty prescient picks about the White Sox this season. I had them winning their division, the American League Central, over highly favored Detroit. And I had Adam Dunn hitting more homers than the Tigers' Prince Fielder (the count now stands at 39-27). Yet I never, ever would have picked Alex Rios to be the epitome of this year's Sox—unless they were destined to sleepwalk through the season and lose 90 games. Nonetheless, Rios established himself as the embodiment of this year's White Sox over the last couple of days. That was already after he'd put himself in the running for AL Comeback Player of the Year alongside teammates Dunn and Jake Peavy. Yet nothing prepared anyone for his cutthroat slide into second to break up a double play, force an error by Detroit second baseman Omar Infante, and score two runs—including the tying and winning runs—in a 5-4 victory on Monday. Rios followed that with his 24th homer of the season on Tuesday night in Kansas City, a monster shot that just happened to be the deciding run in a 3-2 victory that cut the Sox's magic number to 13. Rios has been up and down since he was acquired in a white elephant sale of a waiver deal three years ago. He stank it up at the end of that season, not even hitting .200. 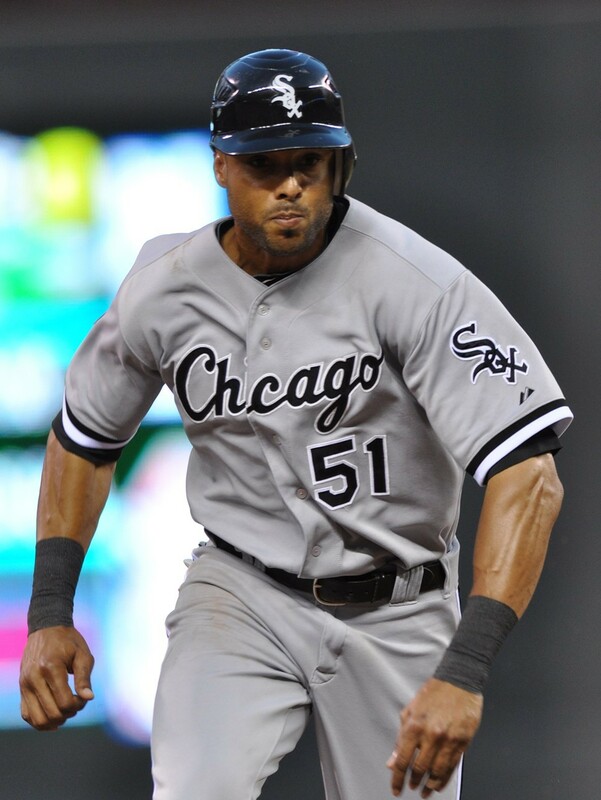 He rebounded in 2010, batting .284 with 21 homers and 34 steals. Then he was back to awful last year, hitting .227 with a measly 13 homers and 11 steals. Through it all, he was the same laconic player, only one year he seemed to have a little more motivation and a little more pop in his bat. This year, however, he's been quiet, capable, determined—the 2012 Sox incarnate. Who woulda thunk it? Not me. Yet if the Sox do indeed go on to clinch a week from Wednesday, on Dog Night, I reserve the right to crow like crazy. I picked that too months ago—without ever thinking Rios would be the key to make it happen.